Would you describe yourself as a confident person? Is confidence something you think about in relation to your career? Or have you ever been encouraged to be just that bit more confident? One of the most frequent pieces of “advice” I’ve seen dished out to businesswomen is to be more confident. I’m not sure if this is a new thing, or if its always been an “issue” for women. But it’s something that’s been smacking me between the eyes over the past couple of months and something I couldn’t get out of my head over the past week while I’ve been relaxing on a blissful break in Bali (and a HUGE thank you to the Semara Seminyak – our family all loved the resort, the yoga, the spa, the pool, the quiet spaces and – most importantly – the kids club!!) It’s amazing what gets stuck in the rinse cycle when you take some time out! And yet they say so little about what we really experience at work, the tightrope we walk with every interaction. I’m sure that for every woman told to be more confident, there’s another told to be less assertive, less pushy, to relax just a little. So do women really need to be more confident? Or is it that we exhibit confidence in a different way? And if we were to become more confident, would increase the likelihood of women succeeding in senior leadership roles? In my work chairing Peer Support Australia I’ve seen the very real link between confidence, optimism and resilience. I pondered whether Martin Seligman’s work on learned optimism could be helpful to those questioning their own confidence at work, and their success in life. 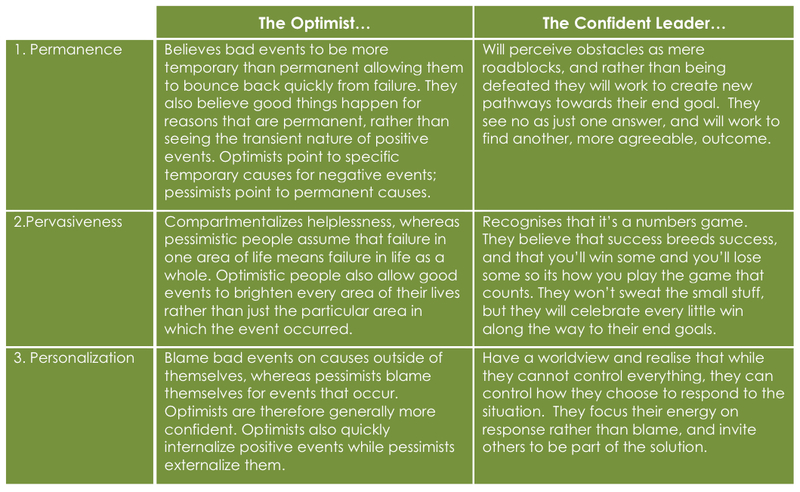 In his 1990 book, Learned Optimism, Seligman found that optimists and pessimists have a different way of dealing with adversity. Optimists tended to view failure objectively “What happened was an unlucky situation (not personal), and really just a setback (not permanent) for this one, of many, goals (not pervasive)”. 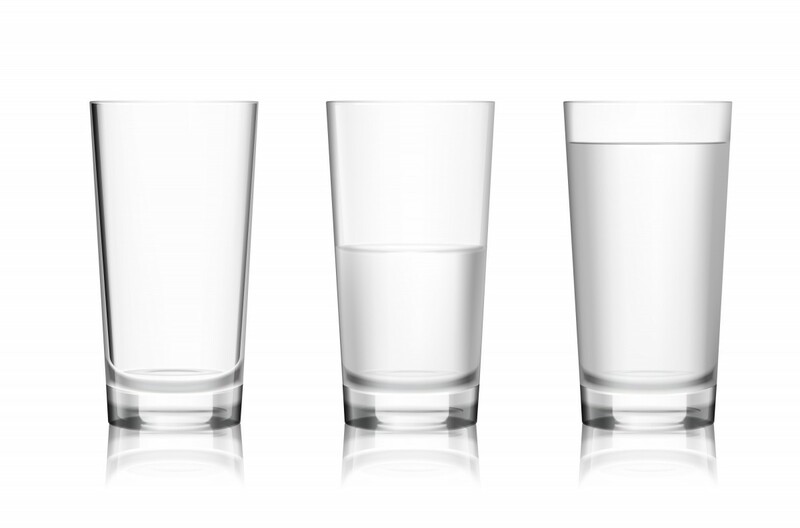 Seligman identified 3 key differences between optimists and pessimists, and invited pessimists to learn to be optimists by rethinking each of these aspects, thus creating a “learned optimism” in their approach. It seems to me that learned optimism and workplace confidence have a lot in common, and perhaps could be applied in a similar way. We could certainly learn to be more confident. The question is, do we need to? My suspicion is that we are all just fine, exactly the way we are.